Here's to a healthy and active 2018! It’s great to start the new year in a positive and healthy way. Especially after all the eating and drinking over the holidays. Luckily for us at Casale, we have Andreas to get us up off the sofa and into the outdoors. He is a whirlwind of energy, always to be found somewhere in nature. Andreas is an electrical engineer by trade, but spent 4 years training as a rock climbing instructor and his office is now a cliff somewhere amongst the Troodos mountains, that surround the village. The entire region was declared a national park in 1992 and Andreas likes to offer guests not only rock climbing expeditions, but also hiking, cycling, abseiling and Geo Caching – an outdoor treasure hunting game. There are five areas to choose from when deciding where you want to go. Kalopanayiotis sits within the Marathasa region – meaning a thousand flowers. There are 750 species of plant in the area – a lot to admire. Pitsilia to the east has much less forest. Then there’s the resort of Troodos itself, Solea to the northeast and Machairas, further east still. Make sure you bring some binoculars, whichever area you choose, because you will hopefully be able to spot birds of prey and the famous mouflon – a type of wild sheep that can be found wandering across the whole region. If you have GPS on your phone, you’re sorted. You pick a treasure trail from the many listed on the website of the Forestry Department and off you go, in search of the secret treasure. There are lots of different paths to choose from, each varying in levels of difficulty. Path “Adriani” is one of the more advanced routes, with a mix of gradient and terrain, passing through very dense pine forest. “It’s one of my favourites” says Andreas. “The views are spectacular. You can sit and gaze out towards Morfou bay. It’s the perfect place to meditate or do some yoga. It’s very peaceful. When you find the so-called treasure or ‘cache’ as they’re often called, it’s normally a small waterproof bottle or box containing a logbook and maybe toys or trinkets of little value. 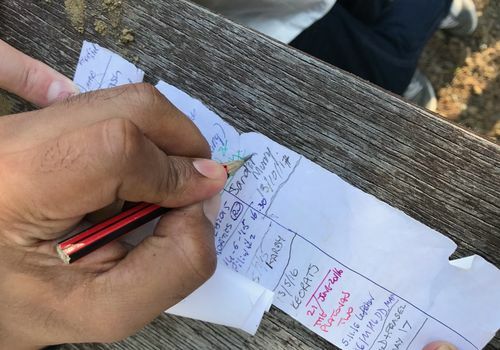 You can sign your name and date the logbook – adding to the sense of achievement that you succeeded in hiking that far. 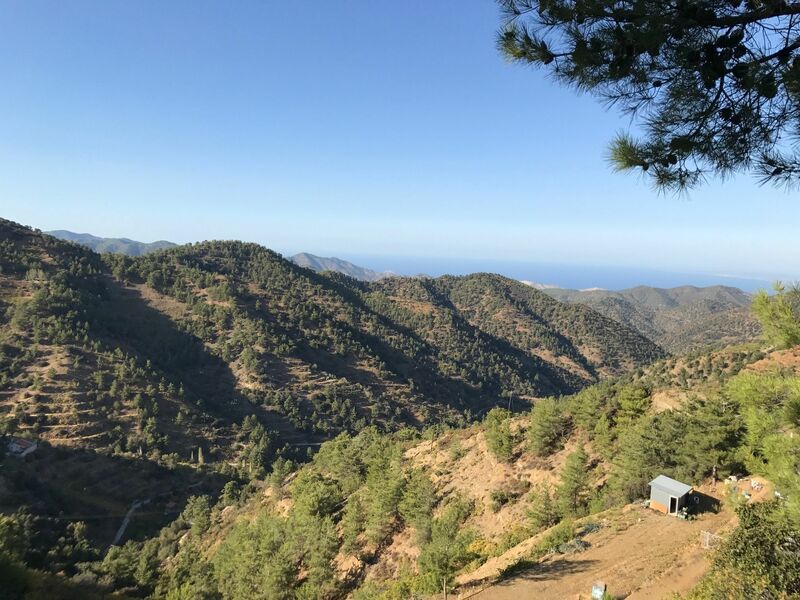 The hike goes past the picturesque village of Gerakies in the Marathasa valley, nestling on the hillside amongst lush vegetation and on the fringes of Pafos forest. The valley is studded with Byzantine churches, including the 12th century A.D. Agios Nikolaos tis Stegis home to some of the most beautiful frescoes, and a listed UNESCO World Heritage site. Whichever hike you choose, walking in Cyprus is lovely throughout the year, but late Autumn and Spring are when Cyprus is in full bloom. And of course, if you are in the mood for something more challenging, abseiling down the bridge in Kalopanayiotis, will no doubt get your adrenalin levels rising. Just be aware that you will become the star attraction for locals, keen to see a daredevil brave such heights.